In this article we are listing out 5 best spring books for beginners. Spring is very light weight framework for developing enterprise applications. 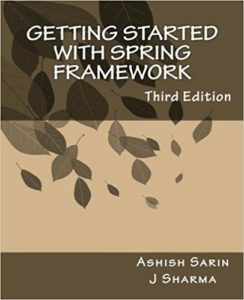 In the learning process of spring, first step is to know what spring framework is? We should have clear understanding about that and how it is useful for our applications and project then only we will be able to use spring efficiently. If we know why we are learning spring and its capabilities before learning then obviously we will appreciate that technology and it will be useful for quick learning process. For doing all these good books are needed. These 5 books are very helpful for learning. Based on your level of learning you can go for your option. Author of this book is Craig Walls. By reading this book one can easily know about spring. Especially one can know how this spring is useful for our projects. It clearly tells about the capabilities of the spring. It will tell about all fundamentals of spring in details. But also it covers the recent advances in spring like MVC, web Flow, security. Examples will be given with small codes those are really very interesting to learn spring. It will give all technical stuff that is needed to develop our own applications. It explains each and every thing how it works and why it is needed. This book is really good for beginners. If you are starting newly then this book is most preferable. It will helpful to understand the spring codes. Examples are very good. Those are very interesting and working examples. This book is full of examples. You can explore the coding in spring. This book covers basics and advanced topic both. Most of the part of the book is coding but good explanation. UML diagrams also there to understand the concept of examples. Spring data jpa type of new things also mentioned. It also provides setup information such as development environment and deployment environment. It is very useful while doing projects. If we clearly understand this book every topic of spring is covered. We will have a good command on spring. Sample projects also there in that book. This spring book is useful for starters. 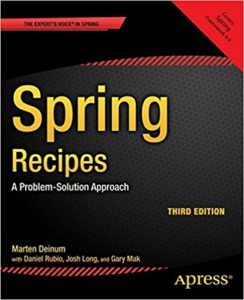 Experienced programmers may not appreciate this book but if you are new to this spring then this book will be definitely useful. 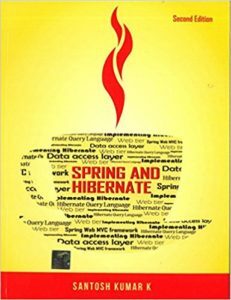 This cover the topics of spring along with hibernate concepts. Good explanation .This book mainly deals with implementing hibernate, data access layer, web tier with spring. Every theoretical concept is explained with example. It has given very clear coverage about JSP. It doesn’t cover all the topics of spring. But it covers all the topics which we needed for developing applications. Whatever the topics mentioned they are explained very well. For beginners it is very good book easy to understand the topics. This book is useful for beginners and as well as professionals also. Each example is given in a professional way. All the aspects which are needed for developing applications are awesome. This is wonderful book for learning spring. Easy to study and understand. It is covering all the topics of spring but not in the detailed manner. This book is very useful, who knows the theoretical part of spring. It is very helpful to teach you how to code in way of you need. We should know some basics about spring then we can understand the concepts thoroughly. Mostly useful for learning coding practices of spring. If we are able to understand the concepts of this book then we can master the spring. This book guides you step –by-step from basics to most advanced topics with the real world coding examples. 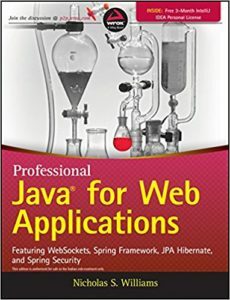 This book covers all the topics such as spring fundamentals, spring enterprise and working with big data, cloud, Mongo DB, spring web kind of topics. These topics are sufficient to develop an application and deploy it. Very good reference book for developing database applications and web services. 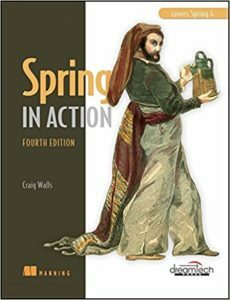 Comment below if you know about any other good spring framework books.